Wifestyles Blog & Photography: Guest Posting!!! I'm being featured on Ashley's new series and couldn't be more excited about it! 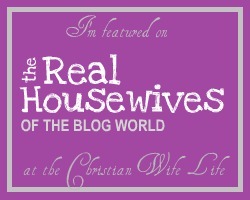 Just found your blog when reading you guest blog on Ashley's The Christian Wife Blog. Although I am not yet married I have been with my boyfriend for 6 years and often feel married so it is nice to see how other people approach situations in their relationships, and how your love for God is what guides you through. I must like to say that you are a great blogger and writer. I have not read whole of your blog posts. I have just checked some of your posts. It is really worth reading. Your kids are very cute and adorable, even you too ;) This is my first visit to this blog. My impression towards this blog is outstanding. I love to place comments on the blogs I read. I like family related contents most. My family is everything and they mean a lot to me. I like to congratulate you on being got featured on Ashley’s blog. It is good to be getting featured on most visited blogs. Even I have participated on many blogs as a guest blogger. I love to do guest posting. I am working online for a writing service. And behalf of that I have to participate on different blogs and request guest posting. There are many good sites accepts guest posts. But it is difficult to get it placed in their blog. There are many users participate on guest posting. If you want to get a place in others blogs you must have good writing skill. You must have the capacity to grab reader’s attention towards your post. From few months I cannot see any new posts from you. Make your blog active by posting new contents. Post your kids photo. I like to watch photos. Even I have a 2 year’s old little princess. I love to share her photos. I like to update photos and get comments for that. I am going to share this blog with my friends and family members. So you can get more readers and visitors for you. I know that you already have plenty of readers, but still want share this with my friends. Keep up the good work like this. Have a nice day!